Back in the day, the most valuable part of your car besides the engine might have been its spoiler or its chrome or its stereo or its rims. 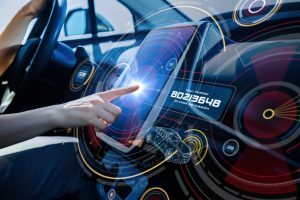 Experts say that won’t be true for very much longer if it even still is, because your car’s data is about to be worth more than the entire vehicle. According to a CNN story, people may soon be looking to sell their cars’ data and they might be able to turn a handsome profit doing it. A self-driving car, the story says, generates 1 gigabyte of data per second—enough to fill an iPhone’s memory in half a minute. And that data is super valuable to all sorts of businesses, including those in the parking industry and especially those trying to develop a transportation system that will be safe and efficient for all those autonomous cars coming down the pike. It’s a brave, new, data-filled world. Read the whole story here.